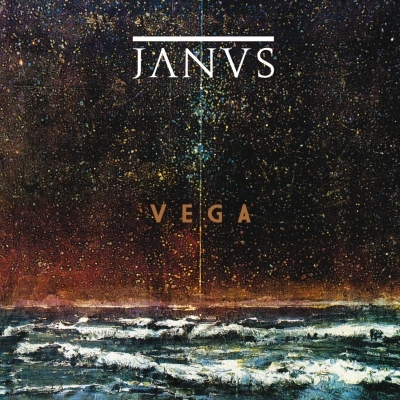 After their brilliant debut album “Fulgures”, JANVS’ “Vega” represents another big step forward for the band who managed to realize its most musically and lyrically complex, rich and unpredictable work so far. An eclectic and intense effort which goes beyond any easy definition of musical genre. “Vega” consists of 7 new songs for almost 50 minutes of music and includes important contributions from various guest musicians. Starting from the basis of the milestone “Fulgures”, the progressive influence showed before by the band becomes clearer and stronger culminating into an haunting visionary form of expression. Giving voice to a constant quest, to the fiery longing for a lost point of reference which constantly glimpses through the ever storming sea of the flowing eras, “Vega” lets the potential dispayed by the band in the previous release finally bloom, confirming JANVS as one of the most deep and unique acts in the current independent scene.